Share booth #8448 with others. Laser Mated Sheets for use in Lexmark, HP, Kyocera, & all laser printers which offer the convenience of the “all-in-one” form preferred by many retail pharmacies. Direct Thermal Labels for Zebra, Cognitive, Datamax, & more can be used to help improve pharmacy workflow at high volume locations and specialty locations like LTC, Hospital, Infusion, and more. Thermal labels for Vial filling robots eliminate the role of 3rd parties, brokers, and middlemen (like the robot companies themselves) who re-sell these labels with a markup. 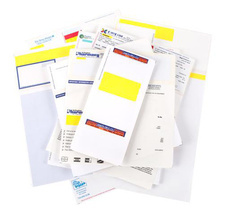 Perforated patient monograph/consultation forms that can be customized to provide a professional looking patient consultation printout and used in combination with thermal labels. Specialty labels of all shapes and sizes can be customized for specialty application including IV’s, Syringes, “Flag Labels”, Refrigerated prescriptions, Unit of use items, and more. 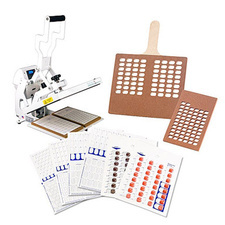 Pharmacy Automation Supplies is one of the only manufacturers in the industry that uses exclusively 35# bleached clay coat gloss paper which is preferred in pharmacy. 30, 31, and 32 day heat seal cards provide unit does solutions for all volumes and levels of automation. 32 day unit dose cold seal cards provide the flexibility for all locations who prefer an alternative to purchasing heat seal presses. Multi-Dose cards allow pharmacists to deliver an entire week’s worth of medication in a single card organized by med-pass. 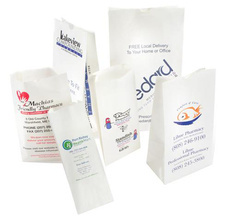 Plastic T-Shirt bags which offer a cost effective solution to large paper bags and can be purchased in both stock and custom options. 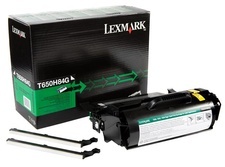 Authentic Lexmark Printer Supplies including both toners & imaging units for all printers ranging from T620 to Brand new MS811 are available for immediate release with FREE freight! Contact one of our pharmacy support specialists today to learn how our solutions can support your operations AND help you save money in an increasingly competitive marketplace.